Recent progresses in regenerative medicine and stem cell science provide new approaches to innovative therapeutics such as cell-based therapeutic products derived from iPS cells, ES cells or somatic (stem) cells. We are engaged in the studies on the evaluation of the quality, safety and efficacy of cell-based therapeutic products. Biochemical and molecular biological studies related with this field are also conducted at the division. 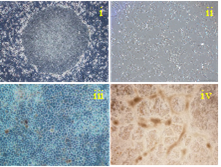 Quality and safety of cell-based therapeutic products using human iPS, ES or somatic (stem) cells are evaluated. 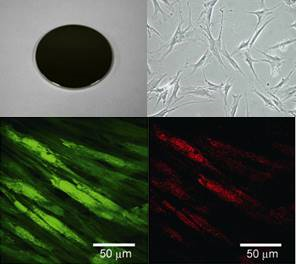 Quality and safety of tissue engineered products using human mesenchymal stem cells are evaluated. 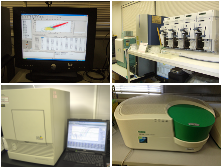 DNA Microarray and real-time PCR etc. are used for assessment of quality and safety of cell-based therapeutic products. 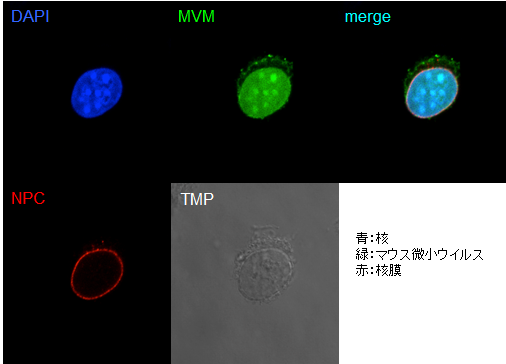 MVM is one of possible candidates to contaminate cell-based therapeutic products.